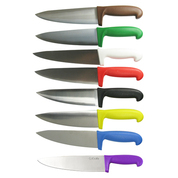 Our selection of high quality colour coded kitchen Knives are ideal if you are looking for a new set to complete your kitchen essentials, or if you are looking for a specific knife for a dish you are preparing. 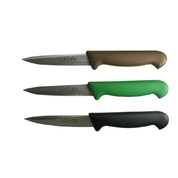 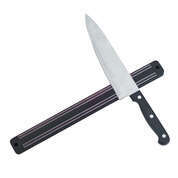 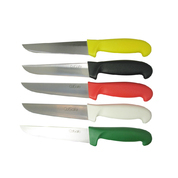 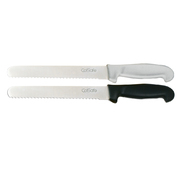 Made from high quality stainless steel with hard wearing handles, our Knives can be put test with your culinary skills. 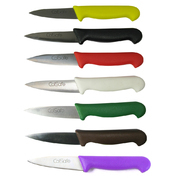 The colour coded handles ensure you comply with legislation, and we also stock high quality colour coded Chopping Board 12x18 / 30x45cm to match.